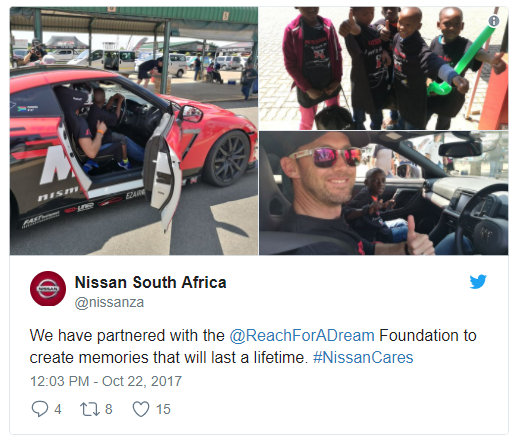 Nissan Cape Town, November 2017 – A fun-filled day was hosted at the Red Star Raceway by Nissan South African who partnered with the Reach for a Dream Foundation to give 15 children a day at the racetrack that they will never forget. Excited children along with their families were taken for a few laps around the race track and skidpad by the Nissan staff together with the GTR-Z club, who offered their time, vehicles and efforts to put smiles on these people’s faces. This day was open to the public who could make donations to get a few laps around the track. The funds raised on the day were all in aid for the Reach For A Dream Foundation who help children with life-threatening illnesses. Natalie Lazaris, head of Business Development for the Reach For A Dream Foundation, said: "The event was truly inspiring as we gave the children of our foundation the opportunity to dream again” and that "Our children were filled with so much joy and happiness. 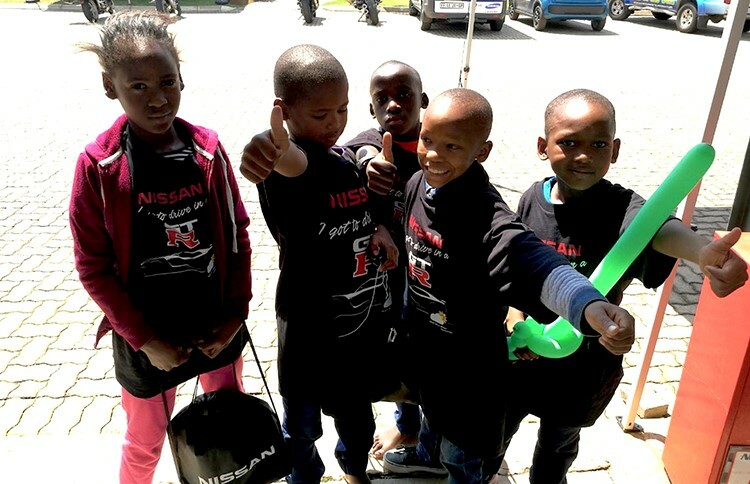 We want to say a special thanks to Nissan for inspiring hope in our children. This partnership is one we value immensely." Keba Matlhako, senior manager of Corporate Social Responsibility at Nissan South Africa, said that: "This was such a special day for us at Nissan, as the event not only touched the children that were able to live their dream of driving in a race car, but it touched us in a big way as we were able to put smiles on the faces of children that struggle on a daily basis”. "A special thanks to the GTR-Z Club and our staff for the joint efforts on Sunday, as without you the day would not have been possible. We hope that this is not the last of this phenomenal partnership and that we are able to continue contributing to dreams where we have access to the recourses." William Simpson is a proud and authorised Nissan and Datsun Megadealer in the Western Cape. We offer the latest Nissan specials to all our new and existing customers across South Africa. Make sure to contact us for all your Nissan and Datsun needs.